The Intuitive Anatomy Class (aka Psychic Boot Camp) is an in-depth journey of discovery that takes ThetaHealing™ Practitioners through the Body Intuitive, allowing them to intimately and intuitively meet the organs and systems. The student will discover the emotions and Beliefs that are inherent in the body. This class offers healing to the bodies systems through the release of accumulated energetic emotions. We then explore the Beliefs held in each system and their relationships to physical “dis-ease”. Students have ample time for self-healing and work with other class members to clear limiting Beliefs. 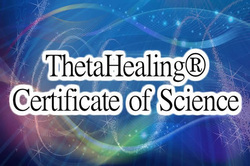 This is the class for the serious ThetaHealing™ Practitioners who desire to become highly skilled at scanning and healing within the physical body using ThetaHealing™. This class offers practical information on physical anatomy with movies shown each day. May 12-30, 2019. Toronto. Sunday - Thursday. 9:00 a.m. - 5:30 p.m. Friday and Saturday off. Taking requests for 2020. Send me your preferred dates as soon as possible. Re-certify for $600.00 (three week enrollment).